Welcome to the Online Shop of the Society! We ask that the Society members login with the ID and Password with which you have been provided. For non-members, please take a moment to read through below and if interested in becoming a member, apply for the membership by clicking on "The Society Entry". 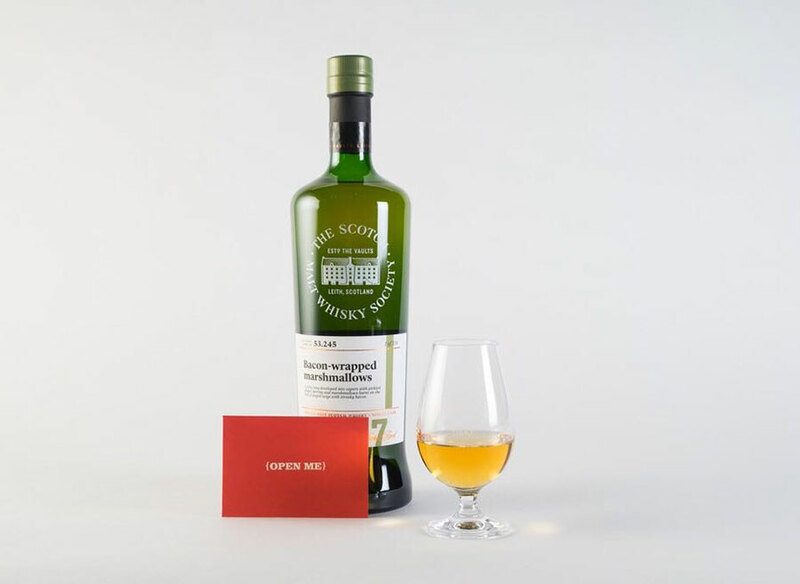 What is the Scotch Malt Whisky Society? 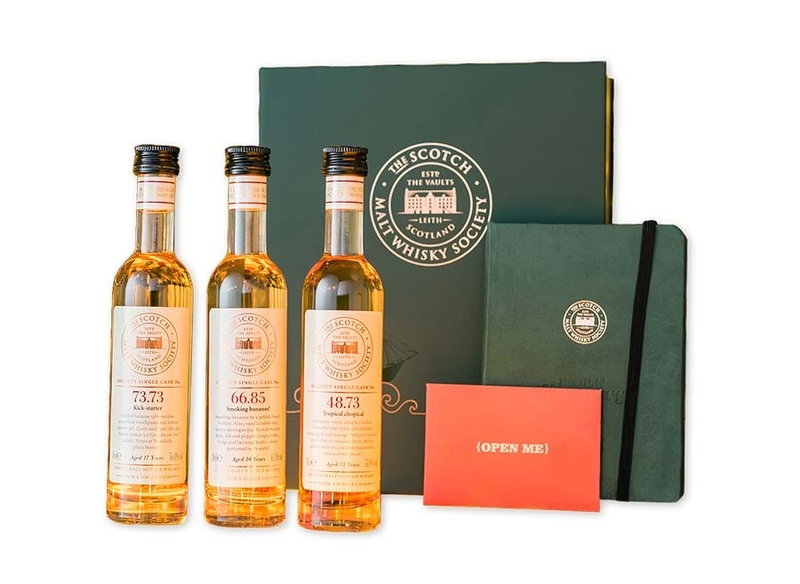 The Society was born over 25 year ago in Leith, the historical port town of Edinburgh, when a group of friends travelled from there up to Speyside and purchased a cask of whisky, which they then proceeded to carry back in the boot of a sports car. The cask was bottled by hand in one of the group’s kitchen, drunk and enjoyed and, before you could say “double distillation”, the Society grew from being a small group of friends, to a very large one, with nearly 30,000 members in 17 branches around the world. Edinburgh remains the beating heart of the Society, and boasts 2 magnificent tasting venues; the historic and traditional Vaults in Leith and the recently-renovated Georgian townhouse at 28 Queen Street. Here members from around the world can enjoy delicious drams, fine food and good company. 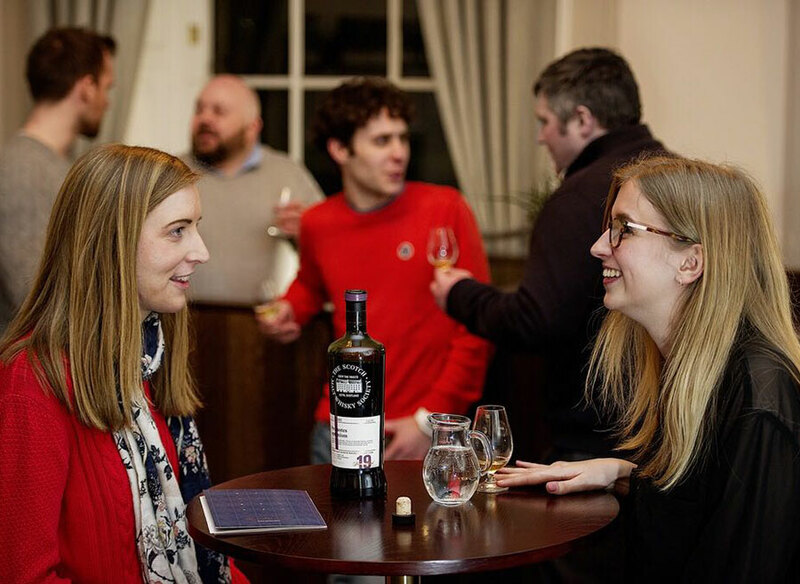 The emphasis is on informal enjoyment of Scotland’s finest, although there also exist plenty of opportunities to further one's whisky education. London is also blessed with a tasting room in the heart of the City, and the Swiss, French, Taiwanese and Japanese branches all have their own venues, with several others looking to open soon. A Society membership is fully transferable internationally and any members have the right to use any of the facilities around the world. Two decades ago the Society was a pioneer in bottling Single Malts straight from the barrel at full cask strength, without any dilution or other additions. It has now bottled whisky from 127 distilleries, including some from Ireland, America and Japan, although Scotch obviously remains its core. Every cask bottling from the Society is unique and can never be repeated. After the angels have taken their share, a cask may yield anywhere from a few dozen to several hundred bottles, depending upon the age and size of the cask, but once these are gone, there will be no more. Each cask has to pass a rigorous selection process at a Tasting Panel in Edinburgh, comprising of staff members and industry figures. Many casks sampled, even those from famous distilleries, are deemed of insufficient quality to be bottled by the SMWS. Bottles are offered for sale directly to Society members around the world and will never be seen in supermarkets or liquor stores. 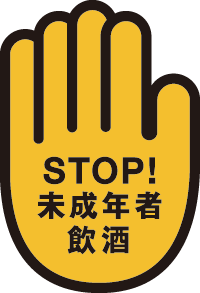 The Japanese branch of the Society was founded in 1993, the first overseas branch. Regular events are held in Tokyo, Osaka, Kyoto, Fukuoka, Mito & Nagoya and then intermittently at various locations around the country. 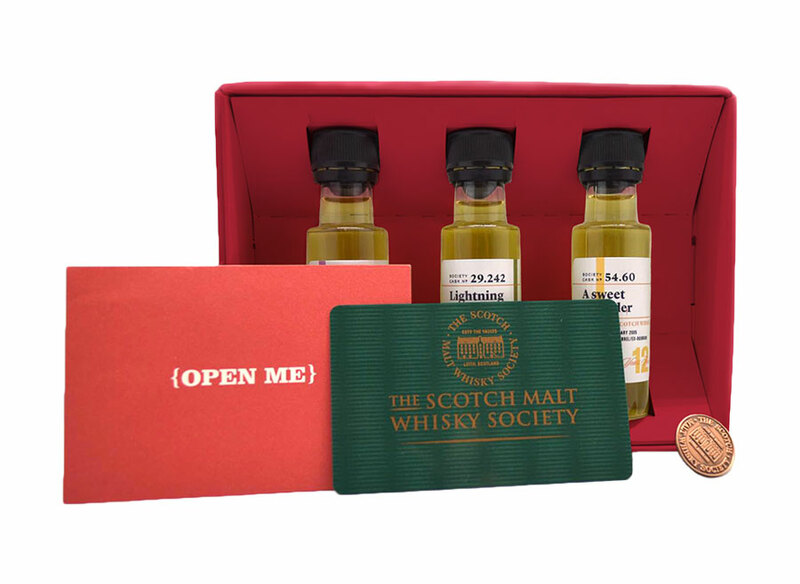 Members receive mailings in English & Japanese four times a year that contain not only details of the latest Society offerings, complete with the quirky tasting notes, but also event reports and timetables, articles on various aspects of whisky production and enjoyment, and special member-only exclusive offerings. You can apply for the membership online. Please add "The Society Entry" to the shopping cart. Please note that your next purchase of the Society products will be after you are officially registered with the Society, by using your unique ID which will be shown in an email sent from us automatically.